Larry Couch has served as a lobbyist for the National Advocacy Center of the Sisters of the Good Shepherd since 2009. In this capacity, he has advocated in favor of programs serving people living in poverty, protecting people who are victims of human trafficking, prevention of domestic abuse, and compassionate immigration reform. While maintaining his ongoing lobbying activities, as of April 2014 he has assumed the responsibilities of Director of the National Advocacy Center. Prior to his work with the National Advocacy Center, Larry served as the Legislative Liaison for the Archdiocese of Washington. In addition to federal and state advocacy work, Larry helped create Justice and Advocacy Councils in four Maryland counties to advocate at the local level for the needs of people living in poverty. Since April 2014, Fran Eskin-Royer has served as a staff associate at the National Advocacy Center of the Good Shepherd. She provides administrative support to the director, sharing responsibility for the daily operations of the office. In addition to bookkeeping and related accounting tasks, Fran assists with budget preparation and oversight; manages the database, sending weekly communications to the Good Shepherd constituency; assists with outreach via the website and other forms of social media; and provides administrative support to the Center's Advisory Board. The National Advocacy Center Advisory Board provides guidance with respect to the organization's overall direction, goals and objectives. 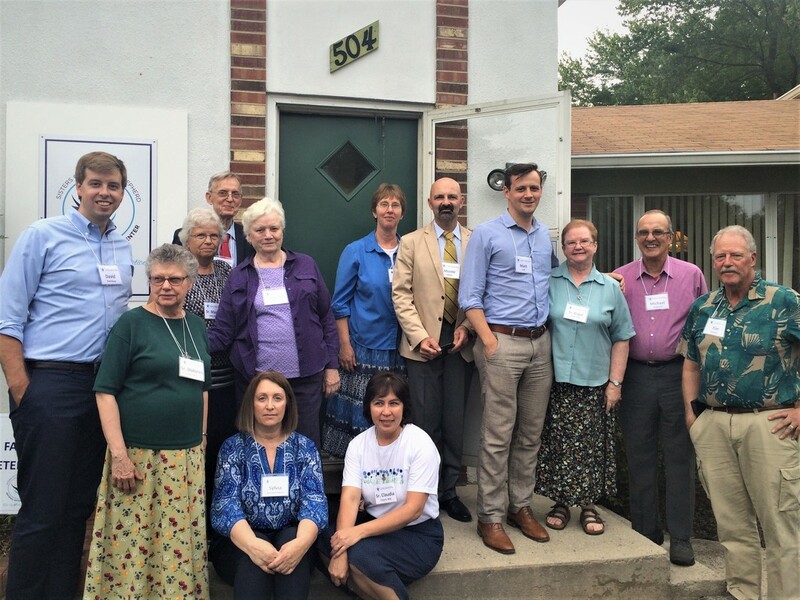 The all-volunteer board consists of members of the RGS community, advocates from like-minded partner organizations, and other friends of the Sisters of the Good Shepherd engaged in issues of justice, peace and creation care.